Headed back to Fairfield Hills on New Years Day for another ski. 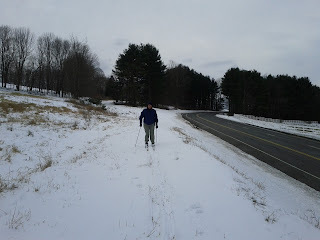 Ran into a friend from Danbury that saw my facebook post about the 3.5 mile route that I skied the other day so I suggested he follow me to learn the route that I am working on. Eventually, I would like to see a dedicated skiing trail laid out at Fairfield Hills. There are portions of it already marked through some of the fields with red pin flags but east side still needs to be marked, and the alternative to the Town Recreational Trail needs to get approved. 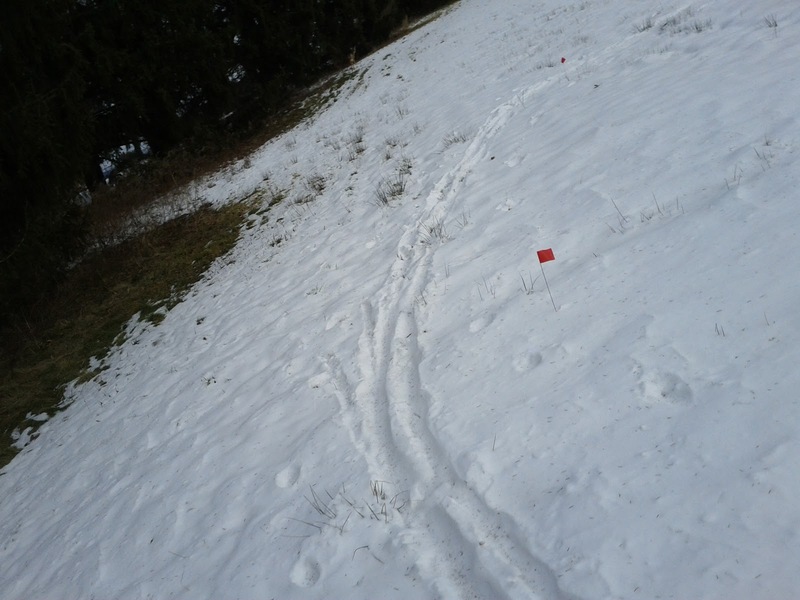 The Rec Trail is plowed because the town needs access to the water tanks at the top of the hill.